Cover: Fabulous! You CAN judge this book by its cover! 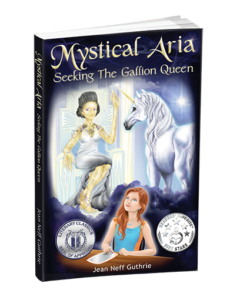 Mystical Aria is a young teen novel I won from a goodreads giveaway, with the intention of reading it to my grand daughters, for whom the author lovingly signed the book. The family relationships were realistic, even by today’s standards. The human characters, in general, were fun and unique, with each one having a defined personality. The sibling rivalry and devotion to one another were award-winning, as were the glimpses of Tommy and his older Drake. We even peeked at the intricate difficulties of a marriage to a serviceman. The long-term pre-existing friendship was creatively shown and the interactions were set the mood that misunderstandings, trust, and loyalty run deep. This adventure book was charming and flawlessly written. Structure, flow, and grammar was professionally represented. I would definitely recommend it and would pounce on another book by this author! 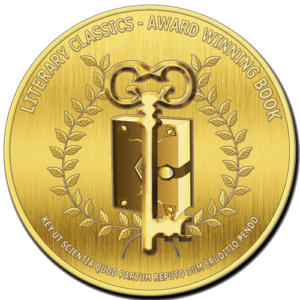 Mystical Aria is a book that everybody should read, young and young at heart. It opens spirit and heart as well as a galactic window, reminding us that we are part of something much bigger than we might think we are. The story is well written for a seventh grader reader. I think they will enjoy the adventures of Aria meeting aliens. The dialogue is realistic for this age. The descriptions of the Gallions are entertaining and believable. The story is a well-executed plea for readers to think about their approach to living. An alien culture comes to teach us many things about the way we see our world. It makes a point that if we view the world as one of scarcity then we will know scarcity. If we view the world as abundant, we will know abundance. It tells us that we make our world by what we project, abundance or scarcity. The first place we have to heal is in ourselves, then we can heal our relationships and Earth.